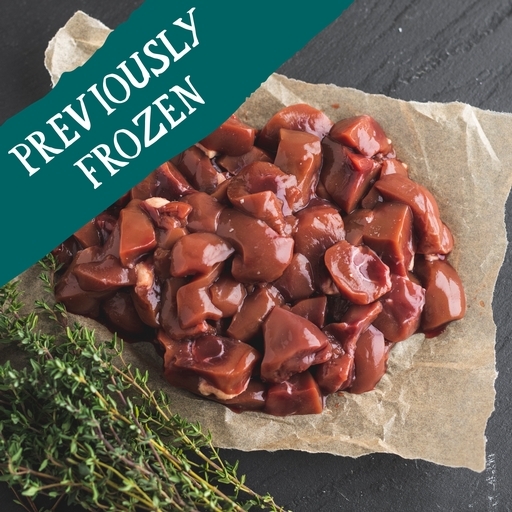 Juicy, richly flavoursome organic ox kidney from small-scale West Country farms. We expertly dice the meat by hand in our own butchery, so there’s no prep needed – it’s all ready to simmer into warming traditional stews, pies and casseroles. Serves 3. Defrost thoroughly before use. Toss in seasoned flour, then brown quickly in a pan on the hob. Cook gently for an hour with a glass of red wine, 250ml stock, 100g mushrooms, a sliced onion, bouquet garni and a little English mustard and tomato ketchup. Top with suet, puff or shortcrust pastry and bake for 30 mins. Alternatively, try a traditional steamed pudding, or use in a casserole – dumplings essential.